SALON B/C: TUNE UP WITH DENNY MCLAIN - Denny McLain, a flame-throwing fastball pitcher, collated an impressive list of accomplishments throughout his 11-year career. 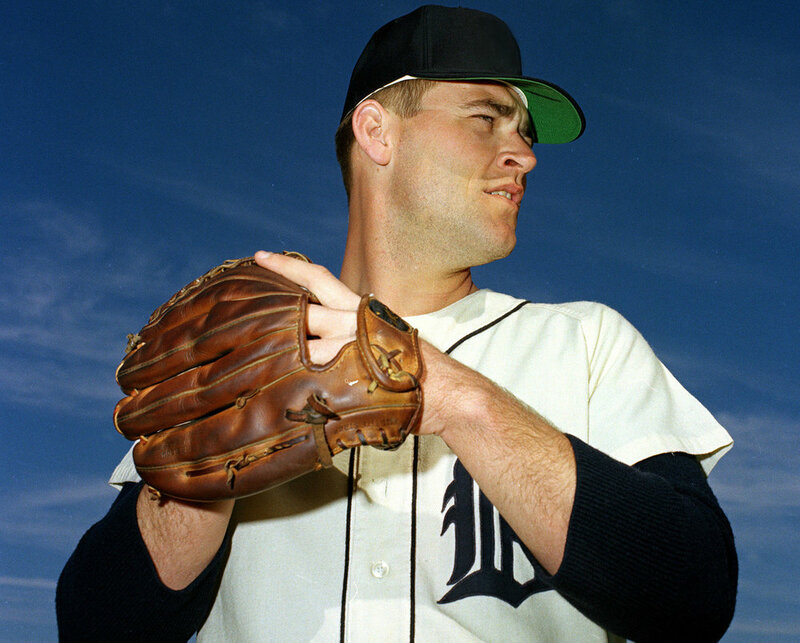 Originally drafted by the Chicago White Sox in 1962, McLain made his major league debut with the Detroit Tigers a year later, shortly after his nineteenth birthday. His success took off during the 1965 season as he compiled a 16-6 record and struck out 192 batters, the third highest total in the American League. He recorded 20 wins and was honored with the All-Star Game starting pitching role for the American League in 1966, and in 1968, he became Major League Baseball’s first 30-game winner since 1934- an impressive record which he still holds today. Not only did his outstanding season lead him to his second All-Star Game, a Cy Young Award, and an American League Most Valuable Player Award, it also helped lift the Tigers to the World Series, where they defeated the St. Louis Cardinals and claimed their World Champion title. McLain would appear in his third All-Star Game and win another Cy Young Award with the Tigers in 1969 before being traded to the Washington Senators. He went on to spend time with the Oakland Athletics and Atlanta Braves before retiring from the game in 1972. Although McLain’s post-retirement one was not one of ease, dotted with run-ins with the law, a rocky businesses, and a stint in prison, he has come out on the other side. Since his release, he has written an autobiography titled, I Told You I Wasn’t Perfect, and started his own radio show in the Detroit area, where he currently resides. The flamboyant former MLB pitcher will entertain the audience before taking questions from those in the crowd. Following the Q&A session, McLain will be available for photos & autographs.